Complete your Christmas shopping at a cracking pace with the latest offer from jewellers F. Hinds, in store and online. 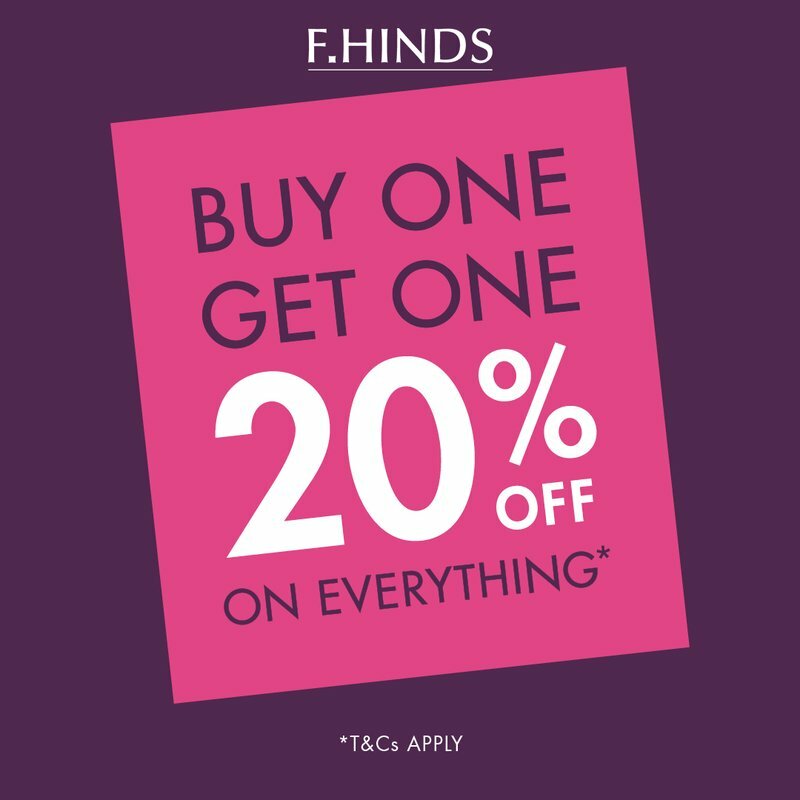 Find perfect, little stocking fillers right up to impressive, sparkling diamond jewellery pieces and watches - buy One Get One 20% Off at F.Hinds from 6th - 9th December. For full terms and conditions visit www.fhinds.co.uk or tel. 01895 201040/ 0800 034 4637. Ends Sunday 9th December 2018.